Sodium Bicarbonate also known as Bicarbonate of Soda is one of the key ingredients in making bath bombs. Often used in house hold cleaning too. 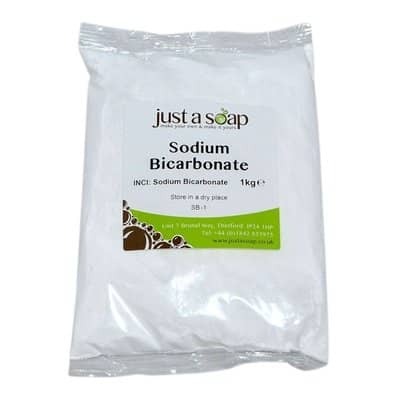 Sodium Bicarbonate is also known as Bicarbonate of Soda. For most of our customers it's the other key ingredient for making bath bombs. The chemical reaction between water, sodium bicarbonate and the citric acid produces the fizz and bubbles when a finished bath bomb hits the water. It's all to do with the science!